Do you, your spouse, or your child have or believe you have allergies? Don’t wait any longer: we now offer a fast diagnostic, treatment, and follow-up service for allergic patients. We can help you with both respiratory and food allergies at the only private allergy clinic in Laval! An exclusive service offered at Groupe Lacroix’s vast network of clinics! 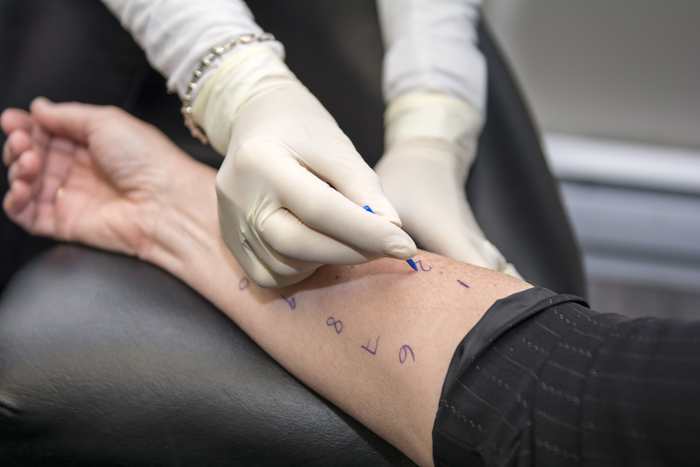 Our private allergy clinic guarantees you a prompt appointment for your allergy tests. No medical referral is required and allergy testing can be performed on children over three years old. Desensitisation is provided by immunotherapy injection, which is used to treat certain allergies or, in some cases, as a preventive measure. This treatment is usually administered by injecting the specific allergen into the skin. You can get your shots through Avenir MD.